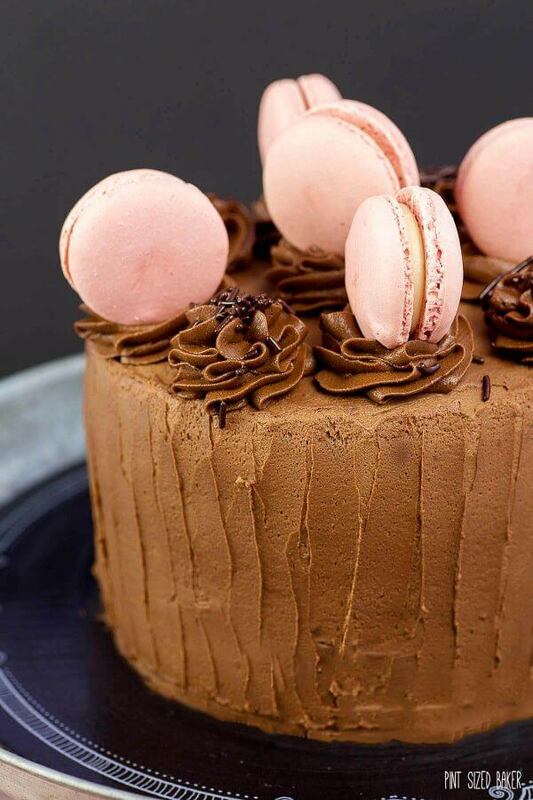 Bake a beautiful Chocolate Cake with Macarons for someone special. 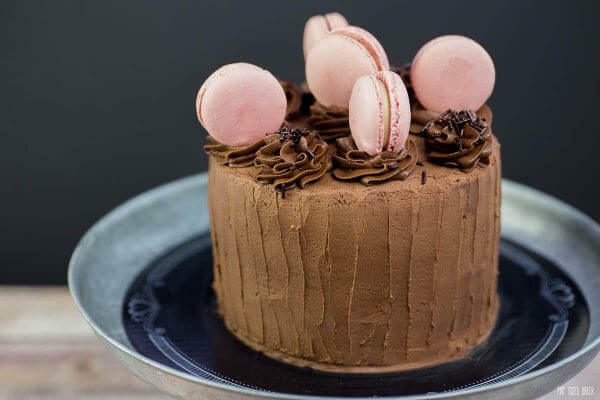 The cake and frosting is homemade, but the macarons are store bought. I made this beautiful cake for my sister-in-law’s birthday and everyone loved it! I cheated and bought the macarons from the store, so please don’t let that stop you from decorating a cake with them. 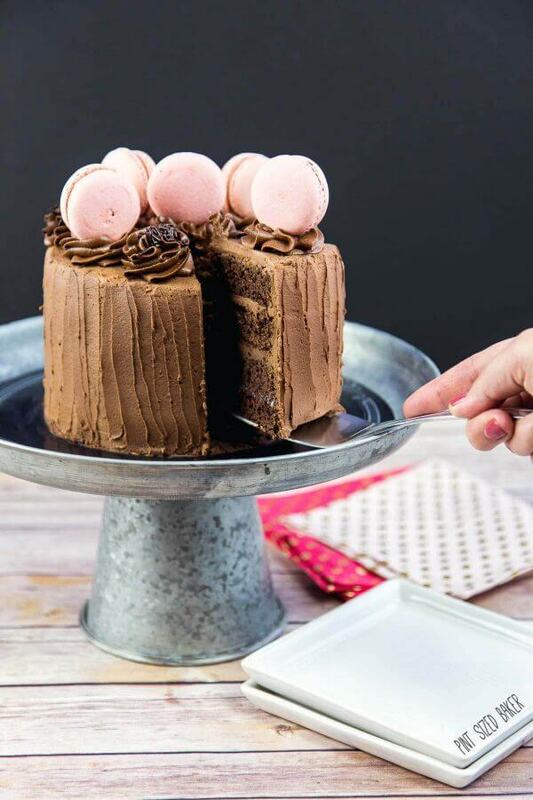 Of course you can bake your own if you’re up to the task, but they have frozen macarons at Wal-Mart so you don’t have to spend a fortune at the bakery either. I got these at TJ Maxx or Home Goods or someplace like that… they weren’t very tasty, but they were pretty. I would have loved to have made a smooth edge that you see everyone creating, but I’m just not that talented. There. I said it. I’m just an okay cake decorator and that’s alright. As much as I scraped the edges, it just didn’t smooth out nicely, so I ditched that idea for this imperfect dragged look. 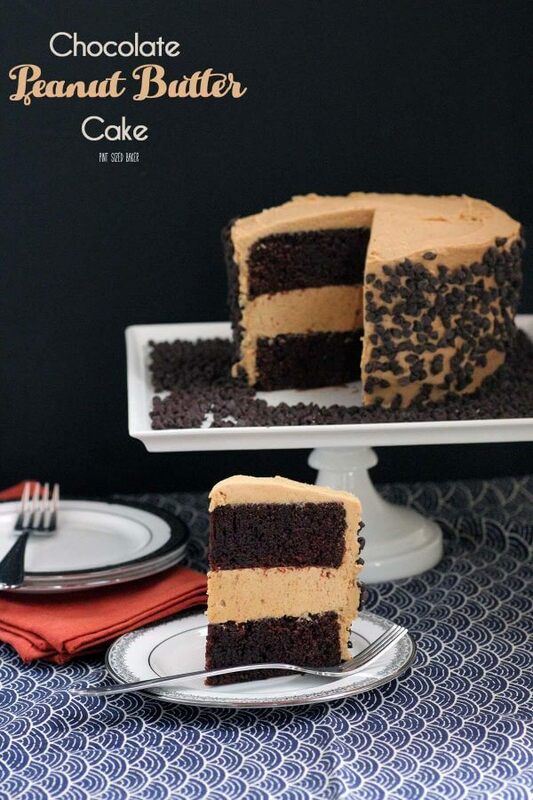 It’s simple enough to do – just drag the offset spatchula from the bottom up going all around the cake. The beauty is in its imperfections. Well, at least that’s what I’m telling myself. Then I added some swirls of whipped ganache and sat the macarons on top of them. There were only six macarons and I should have only made six swirls, but I wasn’t paying attention and I made 8. So I popped one into the center and called it a day. In the end, I was happy, but most importantly, the birthday girl was happy! It’s a little difficult to see in the images, but there was a layer of white chocolate ganache, milk chocolate ganache and then dark chocolate ganache. I couldn’t taste much difference in the layers, but it was interesting to try. I think next time, I’d just be happy with dark chocolate ganache and not hassle making three different types. Oh well. 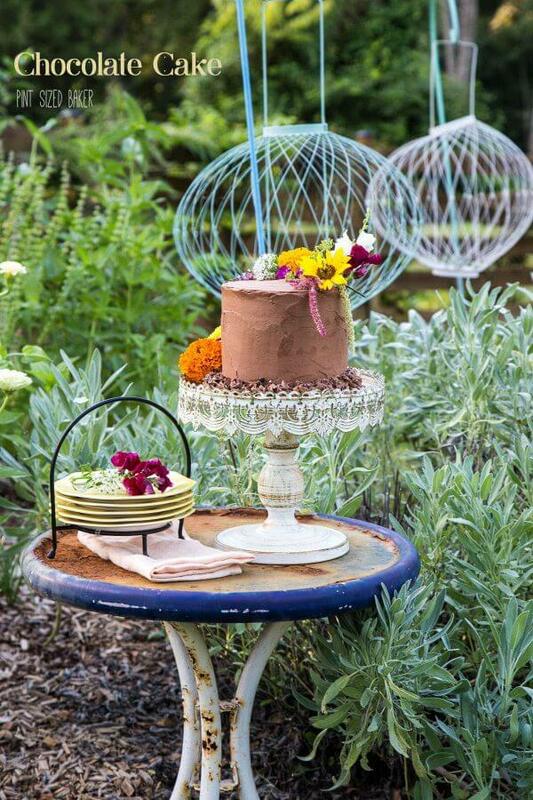 Prepare two 6-inch round cake pans with non-stick spray and flour and bake even strips. Sift the flour, cocoa powder, sugar, baking soda and baking powder in a large bowl. Melt the butter and mix it with the buttermilk and coffee. Mix in the liquid mixture to the dry ingredients and mix until combined. Do not over mix. Chop each of the chocolates separately and place each in its own bowl. Heat the cream in a saucepan until scalded, don't let it boil. Pour 2/3's or 14 tablespoons into the 7 oz of dark chocolate and then approximately 3 ounces of milk into each of the white and milk chocolate. Let the hot milk sit and melt the chocolate for a minute before stirring the mixture smooth. Wait until the ganache is cool enough to easily spread. 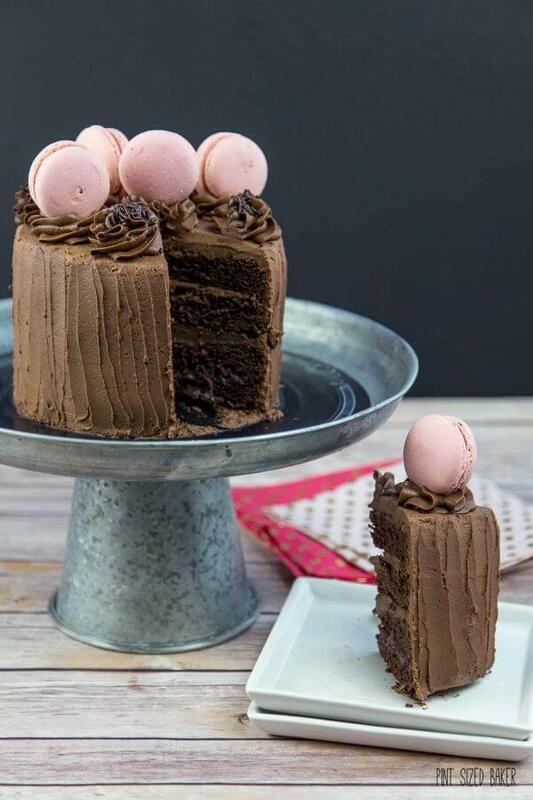 Slice each cake layer in half so you have 4 layers of cake. Place your first layer of cake on a board or serving tray and spread the white chocolate over it. 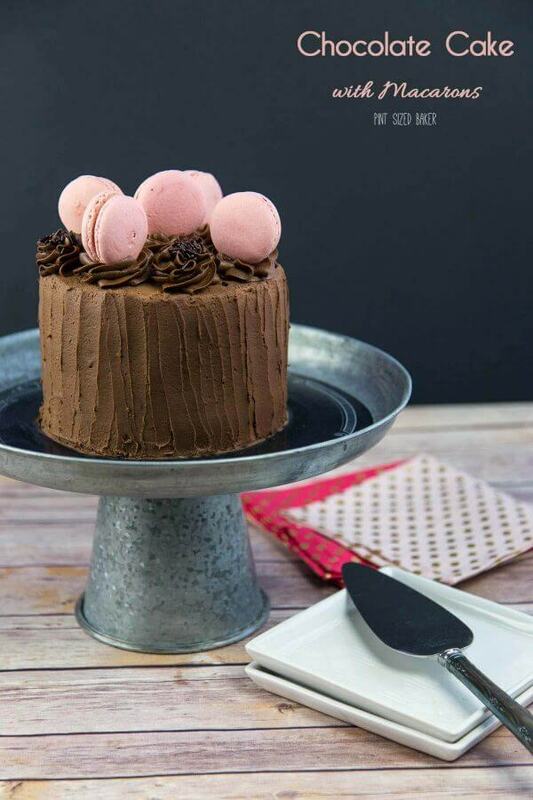 If the ganache is too soft, you can place it into the fridge for 20 minutes to help firm it up. Add the second layer of cake and top with the milk chocolate ganache. 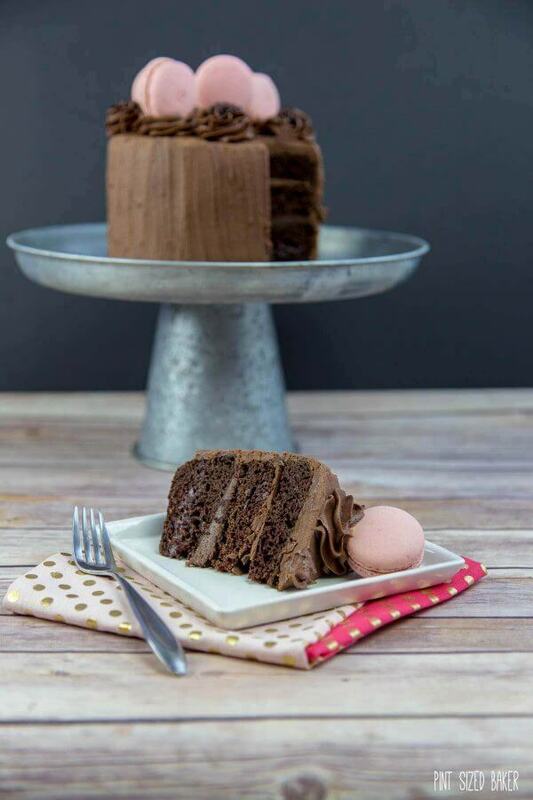 Add the third layer of cake and top with a thin layer of dark chocolate ganache. 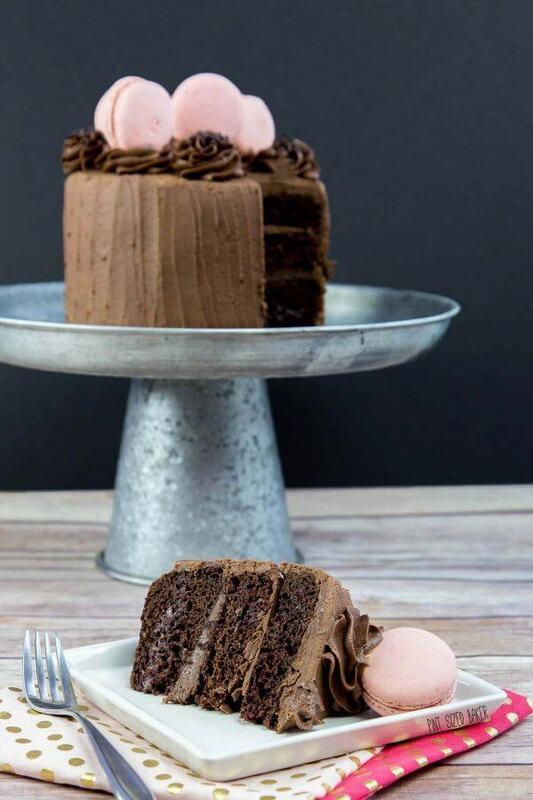 Top the cake with the fourth layer of cake and add a thin crumb coat of the dark chocolate ganache and refrigerate for 20 minutes to firm. Using a whip attachment, place the remaining dark chocolate ganache into a stand mixer and whip on high for 5 minutes. It should double in volume. Frost your cake reserving some whipped ganache for the swirls on top. 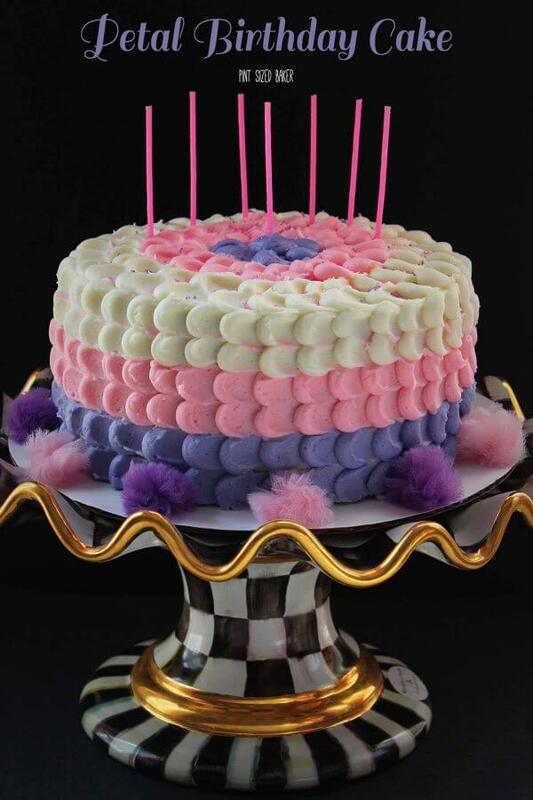 Add any swirls or decorations to the cake and top with the pre-made macarons.